James Raymond Bradshaw was born September 8, 1947, in Antioch, California, the eldest son of Raymond Eugene and Virginia (Adair) Bradshaw. He passed away December 23, 2018, in Aurora, Illinois, after a long illness. During his life he was a United Methodist minister and a librarian. He graduated from high school in Roseburg, Oregon, in 1965, and from the University of Oregon, Eugene, where he studied mathematics and philosophy, in 1969. James continued his education at Boston University School of Theology, earning his Master of Theology degree in 1973. During seminary he had an internship at the Albany Methodist Society (New York). He was ordained in the United Methodist Church and was affiliated with the Methodist Federation for Social Action, serving as a national officer. He served churches in Oregon (Rainier, Sutherlin, and Wilber) and Wisconsin (Webster, Danbury, and Lorain; Black Earth, Mazomanie, and Mounds Creek). In 1988 he completed his Master of Arts degree in Library and Information Science from the University of Wisconsin, Madison. He worked as a librarian and a cataloger at the University of Missouri, Rolla; Morningside College (Sioux City, Iowa); and Follett Software Company (McHenry, Illinois). He also worked at O’Hare International Airport. He had three children with his first wife, Marjorie: Jennifer, Christina, and Jeffrey. He was married a second time on May 25, 2003, in Chicago, Illinois, to Merita Haywood. James was an avid reader and appreciated a wide variety of music. James was preceded in death by his parents, and an infant sibling in 1950. 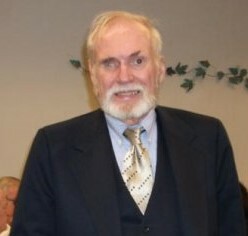 He is survived by his wife of 15 years, Merita Haywood Bradshaw of Aurora, Illinois; his three children in Iowa: Jennifer Bradshaw (Molly Mosely), Christiana Bradshaw, and Jeffrey Bradshaw; his five siblings in Oregon: Don Bradshaw (Jim Robinson), Thelma Bradshaw Mandera, Ethel Bradshaw, Oral Bradshaw (Evon), and Robert Bradshaw; two step-daughters: Theresa Haywood and Narrita Clark (Larry); grandchildren: Dominique, Jalil, and Jabari Haywood, Eugene Harris, and Cierra Clark; and numerous nieces and nephews.